The circulation and translation of texts are crucial means by which ideas are disseminated. While intellectual history has enjoyed a renaissance since the 1970s, the recent emphasis on languages and concepts has obscured the importance of texts as crucial vehicles for cultural exchange. Moreover, where early modern texts have been studied, little work has been done on either translations – including alterations introduced to fit them to different circumstances – or how they were received in different European countries. By focusing on key English republican texts that were published between 1640 and 1750, this project will address the means by which radical, republican and revolutionary ideas were transmitted across Europe during the age of Enlightenment and revolution. It will also provide a window on how key ideas within early modern political and religious thought were received and adapted in the very different political cultures of a range of European regions. Calls for the freedom of the press (as in John Milton’s work Areopagitica) or proposals for a republican form of government (James Harrington’s Oceana) had very different resonances in eighteenth-century France or early nineteenth-century Germany from those that they had in their country and century of origin. This affected the translations themselves (which were often cut, embellished and adapted to suit the audience or context), but also the way in which they were received and read. By tracing how individual texts were presented and received in a range of different contexts across both time and space it will be possible to gain a much more accurate picture than is currently possible of the Europe-wide impact and influence of these important texts. Such a transnational approach will also offer a new dimension to recent work on European republicanism that has tended to focus on distinct national traditions rather than examining the ways in which texts and ideas were transmitted and exchanged across national and linguistic boundaries. Owing to the range of linguistic skills and historical knowledge required to explore these issues, relatively little work has been completed in this area to date. Nonetheless, the current project builds on the past research of those involved. 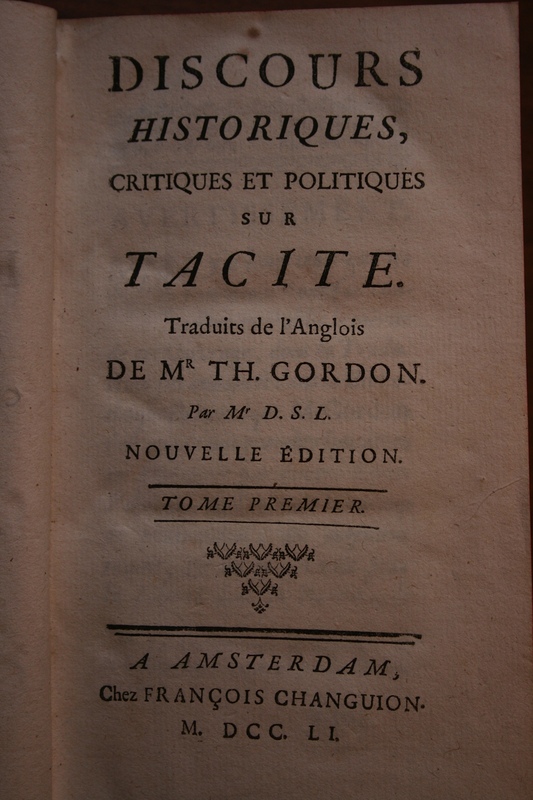 Rachel Hammersley’s research pioneered this kind of approach, but it has focused solely on French translations of English republican texts produced during the eighteenth century. First steps towards recovering wider European contexts for English republicanism were made at a conference at Potsdam University in 2011 on ‘English republican ideas and networks in C17th and C18th Europe’ co-organised by Gaby Mahlberg. By adopting a collaborative approach it will be possible to extend this work both geographically and chronologically. The project has already benefited from pump-priming money provided by the Universities of Newcastle, Northumbria, and Sunderland. We are about to submit our grant application in due course. Watch this space!